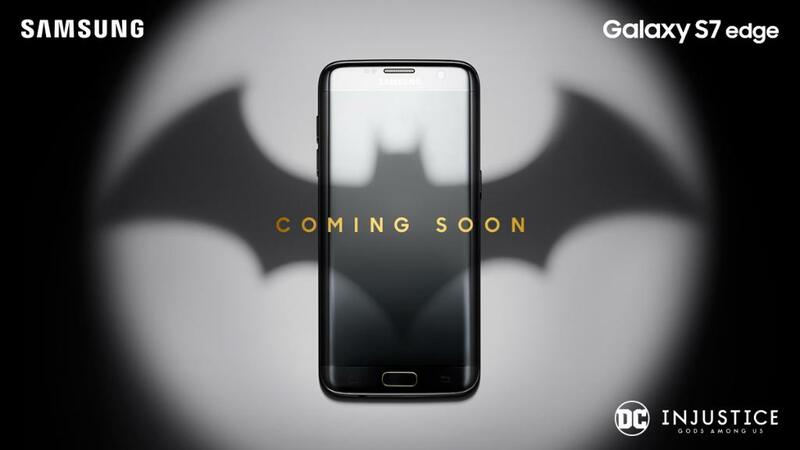 A Galaxy S7 edge with an Injustice Gods Among Us theme has been slated to be announced by Samsung in the near future. The company is following the same approach when it unveiled its Galaxy S6 Avengers edition, but this time, the upcoming phablet is going to be targeted to a selective audience; primarily those who has displayed a high-level of interest towards DC’s graphic novels revolving around the Justice League. While the aesthetics of the smartphone are going to be nothing like the regular versions, the insides are going to remain unchanged. We suspect that this particular edition is going to cost much more than the regular ones, and will sort of be a product that resonates a fashion statement, or a gadget that you want to wave around for bragging rights. The internals of the smartphone include either an Exynos 8890 or Snapdragon 820 (depending on which version you purchase). The device itself possesses a 5.5-inch screen with a QHD resolution (2560 x 1440). Due to its sheer size, Galaxy S7 edge features a large 3,600mAh battery and what separates its predecessor from this one is the presence of a storage card slot. That is correct, Galaxy S7 edge brings a return to the microSD card slot and users are able to expand their current memory up to 200GB. With flash memory products getting cheaper by the day, purchasing an external storage card is going to become less exerting on your wallet. One of the primary selling points of the device is its ultra-fast camera. Despite the rear camera featuring a 12.3MP sensor, both Galaxy S7 edge and Galaxy S7 represent the best cameras in a smartphone, and they have the widest apertures so far, which will allow more light to enter, improving image quality, particularly in low-light conditions. Samsung has not stated when it plans to release the limited version of its handset, but we suspect that it could be announced alongside Galaxy Note 7.